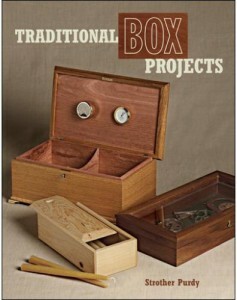 Recently, Strother Purdy’s fine book, Traditional Box Projects, arrived in my mailbox. As is my custom, I immediately flipped through its pages to see what would catch my eye. Several things did, which prompted me to read through the whole book in quick order. I liked what I read.